You may have already read about Microgrid 2018 — to be held May 7-9 in Chicago — but are you familiar with the experts, organizers and decades of experience behind the event? Microgrid 2018 is hosted by Microgrid Knowledge, the largest microgrid news site on the web. The conference is hosted by Microgrid Knowledge, the largest microgrid news site on the web. 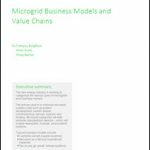 The publication covers the latest news in the microgrid and distributed energy industry, focusing on technologies including solar, wind, energy storage, CHP and fossil fuels. Don’t delay and lose your spot! Register today. Microgrid Knowledge readers are privy to the most up-to-date insight and perspectives on the latest microgrid market news, policy advances, research, technology innovation and on-the-ground installations. Thanks to Microgrid Knowledge editors’ reputation and relationships in the industry, the team is able to bring attendees cutting-edge information about markets, technologies and policy — from some of the top experts in the industry today. Think names like Schneider Electric, S&C, Pacific Gas & Electric, Schweitzer Engineering and more. Watch Microgrid Knowledge editor-in-chief, Elisa Wood, interview Mark Feasel, vice president, Schneider Electric, about the megatrends affecting energy consumers today. Topics to be covered at Microgrid 2018 include the evolution of the microgrid business model, the future of the decentralized grid, microgrids and utilities, putting a value on energy resilience and much more. 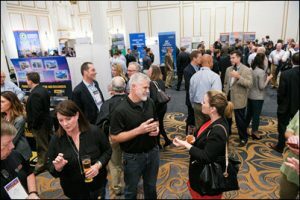 Microgrid 2018 attendees will also have access to some of the top microgrid and energy vendors in the country, as well as extensive networking opportunities. Microgrid 2017 sold out, so register for Microgrid 2018 here, and reserve your spot for the spring event.